Jekyll and Hyde have become a byword for the notion of mankind’s dual nature, the good and the bad, the virtuous and the immoral. At times the text seems to support this reading: Henry Jekyll’s “Full Statement of the Case,” for instance, opens with a discussion of “those provinces of good and ill which divide and compound man’s dual nature” (48) and goes on to describe how the author “learned to recognize the thorough and primitive duality of man” (49). But the first of these two observations is rather more complicated than it might at first appear: it is not that “good and ill” constitute “man’s dual nature”; rather they “divide and compound it.” In other words, any “duality of man” refers to something other than the binary divide between the good and the bad, something that becomes still more complex (“divide[d] and compound[ed]”) when the distinction between virtue and vice is taken into account. Indeed, between these two comments on duality comes the recognition that this is at best a first approximation to the truth: “I hazard the guess that man will be ultimately known for a mere polity of multifarious, incongruous and independent denizens” (48). We are multiple; we contain multitudes. Moreover, it is not as though the characters of Jekyll and Hyde themselves incarnate anything like the “primitive duality” that Jekyll mentions here. For though Hyde is perhaps the pure precipitate of all that is wicked in Jekyll, Jekyll himself remains irreducibly multiple: he is an “incongruous compound” (52), “composite” (55). There is, in short, no kind of dialectical relationship between the two, no simple contradiction: Jekyll is already divided; Hyde is best understood as a supplement or embodied overdetermination. No wonder Jekyll “loses” in the end: his good nature has to struggle not only against Hyde but also against the evil that still resides within Jekyll himself. Perhaps for this reason, and again despite appearances, it is never a matter of Jekyll or Hyde, it can only ever be Jekyll and: Jekyll plus a part of his nature that stands beside him without in fact leaving him. Of course, there is much attention to the differences between Jekyll and Hyde. There is their contrasting stature, for example, or their distinct voices, which is how Jekyll’s manservant, Poole, determines that his master has been disappeared: “Have I been twenty years in this man’s house, to be deceived about his voice?” (35). Moreover, there is much discussion of the distinction between the men’s faces, and indeed of faces in general. Utterson, the tale’s narrator, demands to see Hyde’s face, “and the pair stared at each other pretty fixedly for a few seconds. ‘Now I shall know you again,’ said Mr Utterson. ‘It may be useful’” (16). Utterson goes on to declare to Jekyll that “If ever I read Satan’s signature upon a face, it is on that of your new friend” (17). But Utterson is wrong: he doesn’t “know” Hyde at all, and he completely misreads the signature on the man’s face; indeed, his conception of Hyde is as much a projection of his own fears and anxieties as it is a product of Jekyll’s own foibles and failings. To understand Hyde–and the relation between Hyde and Jekyll–it is best to look to the man’s hand. It is by his hands, after all, that Jekyll/Hyde himself determines, in the absence of a mirror, his qualities at any particular moment. Jekyll’s description of his first transformation into Hyde notes that he “stretched out [his] hands, exulting in the freshness of these sensations” (50). Later, when he has started to transform involuntarily from one state into another, again the hand provides the clue: “the hand that lay on my knee was corded and hairy. I was once more Edward Hyde” (58). But the hand is not only the sign of the difference between Jekyll and Hyde: it is also the sign of their underlying identity. “Then I remembered,” Jekyll tells us, “that of one of my original character, one part remained to me: I could write my own hand” (58-9). Jekyll and Hyde’s hand, in the sense of handwriting, is the same. As a result it is impossible to tell who is writing, except when Jekyll/Hyde deliberately alters his own penmanship–and even then, Utterson’s clerk, “a great student and critic of handwriting” (27), notes “a rather singular resemblance; the two hands are in many points identical: only differently sloped.” Utterson’s response is the horrific thought that “Henry Jekyll [has] forge[d] for a murderer!” (28). But often as not it is Hyde who “forges” for Jekyll, while at other times we can never know who has forged (for) whom. Hence Patrick Brantlinger notes the threat posed by this instability, this duplicity of signature and impossibility of “reading” either Hyde’s or Jekyll’s hands aright: “Hyde menaces society not just by his criminal violence but by his ability to write checks and letters, draw up wills, and pen blasphemies in books of ‘divinity’” (201). Hyde (or is it Jekyll?) takes advantage of his uncanny literacy, the fact that the difference between himself and his other is strictly speaking unreadable, to send a message to his friend Lanyon and persuade him to collect the drugs enabling him to transform himself back into Jekyll once more. And it is here that the book’s most shocking scene comes: not in the mutation of Jekyll into Hyde, as one might have thought; but in the resurrection (“like a man restored from death”) of Jekyll from Hyde. It is this that prompts Lanyon to say: “My life is shaken to its roots; sleep has left me; the deadliest terror sits by me at all hours of the day at night; I feel that my days are numbered” (47). 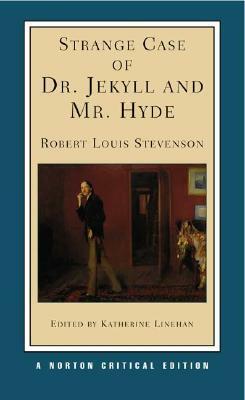 For the staid bachelor society that Stevenson’s tale portrays, it is not the revelation of the evil in man, the appearance of Hyde, that is the most terrifying aspect of the story. Nor is it any kind of dualistic opposition between Jekyll and Hyde. It is the fact that Hyde gives life to Jekyll, and that in doing so he gives birth to multitudes. What does “denizens” mean? How would you translate it to Spanish? Do you think that the “ontology” of the character is also about evil? It is not to much that he is divided and multiple, nor is it only about morals. This dude is evil. How does one think evil there? Or better yet, is evil thinkable in this novel? don’t you find it curious that this book came two years before “Picture of Dorian Grey”, another case for “too ambitious” multitude?